So, you may not be so bright, and you’re finally deciding to take matters into your own hands and see what your intelligent quotient is. 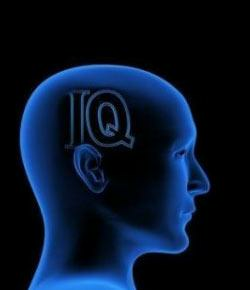 We won’t work you too hard in this IQ Test for dummies, but hopefully you come away with a better knowledge of where you are in terms of brains. If a red house is made from red bricks, a blue house is made from blue bricks, a pink house is made from pink bricks, and a black house is made from black bricks. What is a greenhouse made from? Do they have a Fourth of July in England? Some months have 31 days, and some months have 30 days. But how many have 28 days? John digs a hole that is 2 yards wide, 3 yards long, and 1 yard deep. How many cubic feet of dirt are in it? You are participating in a race. You've just passed the second person. What position are you now in? Do the words flammable and inflammable have the same or opposite meaning? Where did the real Boston Tea Party take place? What Is Your Digital Quotient?